Dancers from the Axis dance Company perform "The Reflective Surface." Toke Stranby from Candoco Dance Company performs "Face In." Shawn Buller (left) is a dancer with the Karen Peterson Dance company. 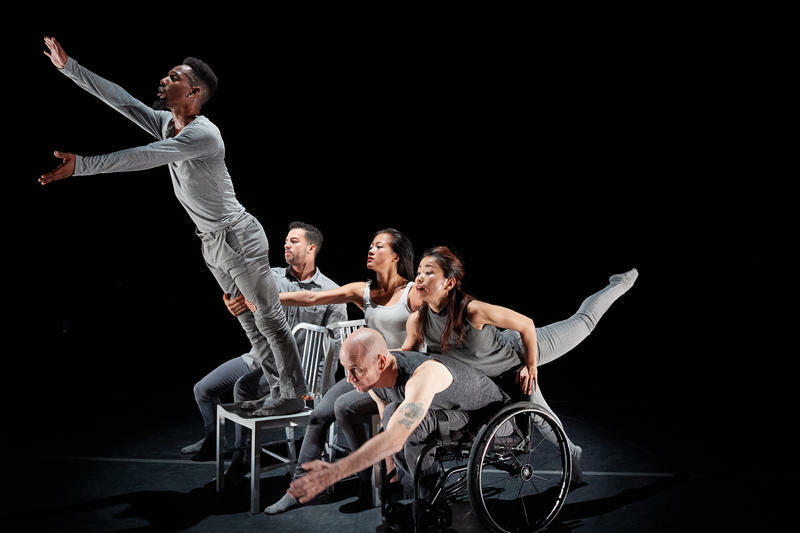 A dance festival is trying to break through misconceptions about disabled dance performers. The Forward Motion Dance Festival, being held Sept. 26 to Sept. 29, will showcase groundbreaking physically integrated dance companies and choreography. A conference will focus on the representation of individuals with disabilities in the arts and media. The festival features disabled and non-disabled artists from around the globe. It was funded by grants from the Knight Foundation and the National Endowment for the Arts. Three performers joined Sundial to talk about the festival and dance opportunities for disabled performers: Toke Stranby, a performer with the Candoco Dance company in London; Marc Brew, the artistic director of Axis Dance company in San Francisco; and Shawn Buller is a dancer with the Karen Peterson Dance company here in Miami. Stranby: I don't want to use the word lucky but I met people that believed in me and saw me for who I am instead of my disability. And I think that helped me within my disability and using my disability as a force. WLRN: Are there enough opportunities around the country and around the world for everybody to learn how to dance or is it limited? Brew: I would clearly say no that there's not enough opportunity. I think that has changed over the years. It's gradually increasing but integrated dance began over 30 years ago. People with disabilities were always told they can't dance or they shouldn't dance ... growing up in society that expectation was if you're disabled you wouldn't be dancing. I acquired my disability over 21 years ago from a motor vehicle accident in South Africa. I acquired a spinal cord injury so I'm paralyzed from the chest down and use a manual wheelchair. Were you dancing before that or you came into it afterward? Yeah I did all my formal training in Australia so I went through an arts college where I did dance and academic, then the Australian Ballet School and then moved South Africa to dance when I had the accident. How did you change your in perception of what you could and couldn't do? First of all I had to stop listening to my brain and what I was taught and told that a dancer was and how a dancer looked -- to be on two feet, with beautiful feet, wonderful turnout, high extensions -- and actually go internal to me and my heart ... like what did dance mean to me. Dance was about expressing myself through my body. Sean, how have you broken through and gotten past that the way Marc was describing it? Buller: Mine was a virus in my spinal cord over 33 years ago. I have movement from the neck down, but it's limited. I kind of stumbled into the dance world after seeing Karen Peterson dancers perform here in Miami back in 1991. The common response for a dancer is somebody that's on their two feet and do these beautiful movements. I thought I can't do that. I didn't see myself doing anything like that and then about 11 years ago I got to see them perform again and then she posted auditions and I signed up and now I'm a dancer with her for the last 11 year. When we think about the event coming up this weekend, what would the message be for families and kids? Brew: You know it's about that mind shift and to show that the possibilities are endless. 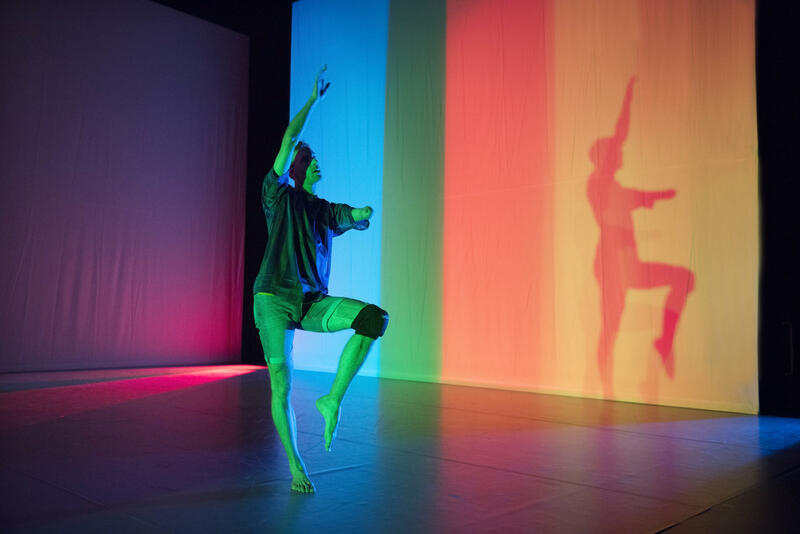 To keep exploring the form of dance and to be there, to be moved and to experience what dance and integrated dance in particular with this festival has to offer. What I would like to see in the future is more exposure to different communities, universities for training and also for all of this work to be embedded in all of the performing arts and venues and presenters.